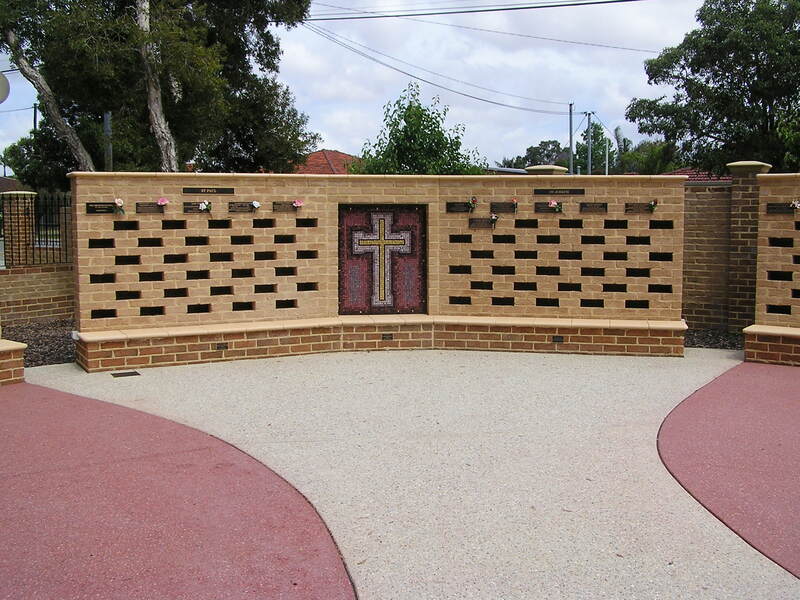 For many people raised in the Catholic Church, a columbarium is a new concept, but it actually has its roots in the early church when cemeteries were built on church property. Simply put, a columbarium is an edifice that houses cremated remains. It offers people the possibility of remaining, even after death, close to their local faith community. 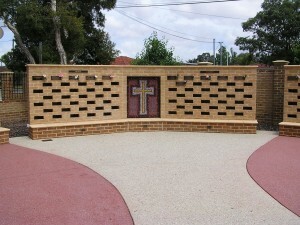 The initial idea for a columbarium was raised in 2004 by a parishioner. After that initial suggestion, several other parishioners independently approached the priests about the possibility of building a columbarium or memorial garden in the parish. Read more. 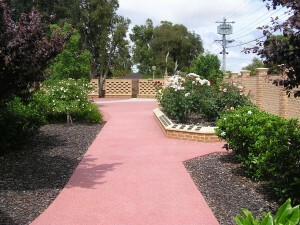 A few years later The St. Therese of Lisieux Children and Infant’s Memorial Garden was created where families may remember the loss, before or after birth, of a little one. Read more. 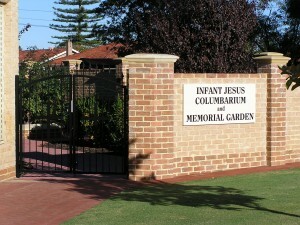 Who is able to be laid to rest in our parish columbarium? The Columbarium is reserved for use by parishioners and their immediate family, including step-family members and adopted family members. Family members may be non-Catholic. A parishioner is any Catholic person who resides within the parish boundaries. Special consideration will be given to any request made by any person who, through regular worship or past connection, has a special affinity and love for this parish. 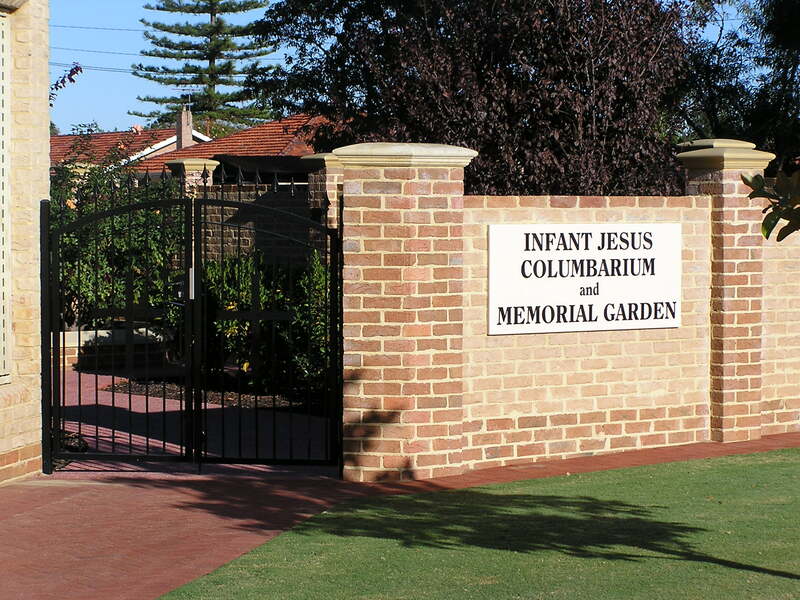 If you would like more information about our columbarium, contact Columbarium Committee member Angela Youens via the parish office on 9276 8500 or enquiries@infantjesusparish.org.au Please phone or email for an appointment if you wish to reserve a niche.